I’ve been writing content for companies for many years… and won 15 awards for it. But awards don’t mean anything unless my clients are getting results. Here’s a small sampling of what some clients say about working with me. For more white paper samples, visit our White Paper Show-and-Tell page on Pinterest. How would you like to define blockchain terms like “node” and “transaction” for any industry? This white paper does that. “The working group spent over a year discussing the content. 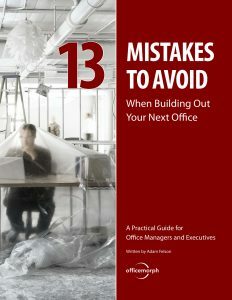 You quickly took the document written by at least six different contributors and turned into a cohesive document with a singular voice. “I think that everyone in the working group was completely blown away by the look and feel and polish you added to the final document. This blockchain startup will bring together advertisers, game developers, and gamers in a new ecosystem that rewards everyone. 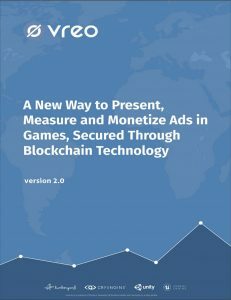 This 70-page paper covers everything from the market opportunity to the team behind the concept, from the technology to the upcoming ICO. I revised and reorganized the draft, added more research, and polished up the text to improve the clarity. The founder had created a good first draft. But at 6,000+ words, it was too long. I revised the draft, cut words to boost readability, and oversaw the design. The finished document got strong results: The company won new business, generated some great press, and put together a breakfast event with a panel discussion—all due to the top quality of this paper. Real-time bidding was a strange new technology for many people in interactive advertising. This paper traced its history, impact, and benefits for marketers based on numerous interviews. “Our industry moves very rapidly, and it took a lot of research to create this 18-page white paper. “The final paper was a big hit with our clients! It’s tough to translate a 3D design into a 2D cutting shape for things like car seats or office chairs. This software solves that problem. I created two white papers to cover both prospects and channel partners. “Our software eliminates many steps in the product design workflow, and we wanted to illustrate these benefits in a compelling way. Over the years, I worked on a dozen white papers for this supply-chain add-on to ERP systems like Oracle and SAP. This one focused on the cost-benefits of this SaaS product. “We’re determined to talk about issues that matter to our audience. “The white papers you wrote are clear, concise and compelling. I interviewed the company founder and did deep research into the U.S. healthcare system to create this highly technical numbered list. The client loved it. “Gordon, I can’t tell you how well you captured this subject. “You really put together a great argument, with just the right flavor for a C-level exec! I wrote numerous white papers and case studies for this company over 10 years. Here’s one I wrote and designed using Word alone. “This paper turned out just great; exactly like I was hoping it would. “I can hardly believe this is only our first round. I wrote several white papers for this studio that designs virtual worlds and websites for kids and tweens. 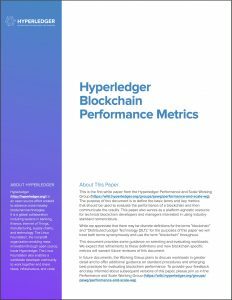 “Our first white paper turned out bigger and better than we ever expected. And working with you was a breeze. To create this paper, I did extensive research and read several books. This paper was online for 7 years and downloaded 5,000+ times. “We’ve had nothing but positive response to this white paper. It’s the strongest marketing piece we have. This company had a new way to debug software that was tough to explain. With a colleague, I created a white paper and three mini-case studies to tell their story. “I wanted to tell you how pleased I am with this white paper. “I know it was a difficult one, but you did a spectacular job… taking very technical info and delivering it in an easy-to-understand way. In a one-day site visit, I gathered everything I needed to write a white paper, two brochures, and a press release. “We couldn’t be happier with the results! It was like you’d been sitting with us for a whole year, instead of just one day. I was called in when this company realized their content was all over the map, and should be pulled together into a better package. “Refreshing our website, we realized many pieces written by technical people needed polishing. I created this handbook to describe the benefits of bar coding in a clear and simple way. “This is a must-read for companies failing to get the most out of their ERP system. This is one of the first white paper I ever worked on, more than 20 years ago. It was so visual that today we would call it an e-book. “Gordon worked on this white paper in 1997 as our VP Marketing. “It got results and saved our sales force a lot of time. For results like these, hire a seasoned pro who’s worked on more white papers than anyone. 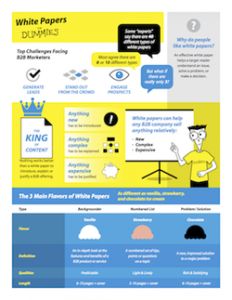 Hire That White Paper Guy to produce your next white paper with no delays, and no excuses.